Tim Gregorio yells at me to shift a moment after the needle sweeps past 7,000 rpm. Gregorio is Singer Vehicle Design’s man in charge of client relations; I trust his judgment. And even though my size-14s take up 97 percent of the pedal box, I click off the best 2-3 shift of my life. Click. Click. Boom. Like cycling the pump action of a Remington 870. The throttle, the clutch, the shifter, the steering—every one of the controls feels fluid and pure, the epitome of mechanical sympathy. 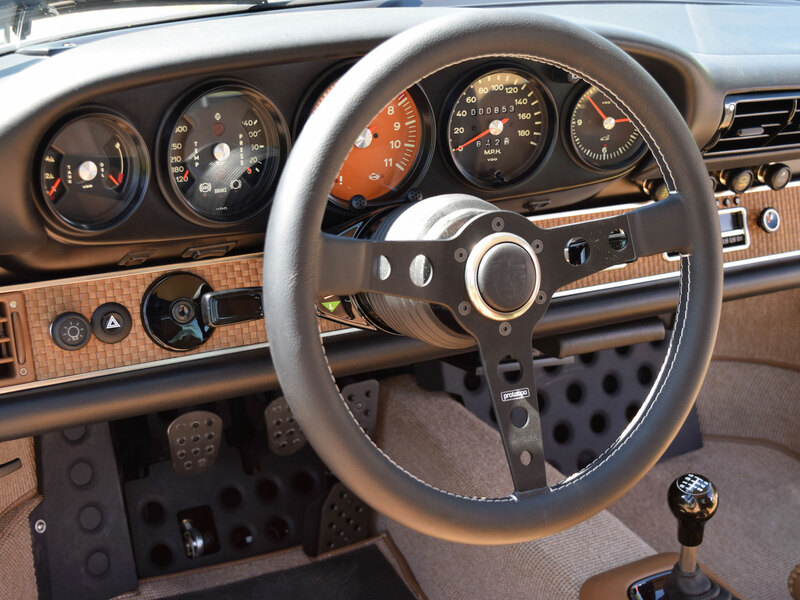 It's taken, oh, nine seconds behind the wheel, puttering down an access road and onto the highway, to know there's something to the Singer myth: the weight of the controls, the feel of the materials, the inexplicable familiarity of it all. I'm driving a car literally made for someone else, yet everything about it feels purely for me. 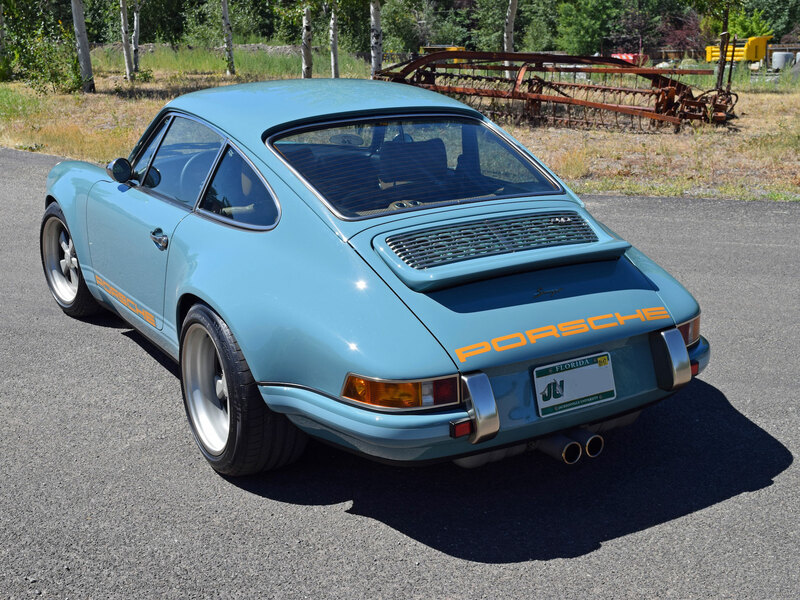 Singer has made a name for itself by restoring vehicles for folks who crave cars like this. Since 2009, the company has delivered dozens of bespoke air-cooled 911s, stripping vintage Porsches down to their bones and reconstructing them with the finest materials and the utmost pride. It’s become so successful, the company’s name has become synonymous with the pinnacle of automotive restoration-slash customization. And as a result, the company’s customized 911s have grown almost to the status of legend. I'm in Ketchum, Idaho to find out if there's any truth to the stories of Singer’s greatness. The air is thin up here, more than a mile above sea level, yet the 911 doesn't seem to care. Tim swears he can feel the difference in the naturally-aspirated 4.0-liter six, but for someone without his frame of reference, the car pulls like it's powered by the dreams of a million Porschephiles. In this era of computer-controlled powertrain perfection, speed like that comes cheap. Acceleration isn’t the car’s greatest trick; no, that would be the sounds it makes as it goes about its good work. Wind through the tach’s travel, and the engine’s growl turns to a yell, the yell to a scream, and the scream to a howl. You can play the car like an instrument, the throttle changing pitch and volume in linear harmony. Put simply: this 911 customized by Singer sings. Old-school simplicity means this 911 feels fast in a way modern cars don’t. Some credit goes to the 1980s greenhouse, the tall, flat windows, and the skinny A-pillars that create a panorama of the surrounding world. Surrounded by glass and sitting so low, 80 mph feels every bit as fast as it did the first time you broke the speed limit. But the car always feels controllable. The suspension is configured, as Gregorio puts it, about 90 percent of the way to a full track setup; hard enough that you can throw some R-compounds on it and go lap Laguna. But it's still surprisingly smooth; the ride doesn't suffer too badly, and even on Idaho’s winter-torn asphalt, it tracks straight and true well into triple-digit speeds. Keeping a handle on the car requires a firm hand on the wheel, though. 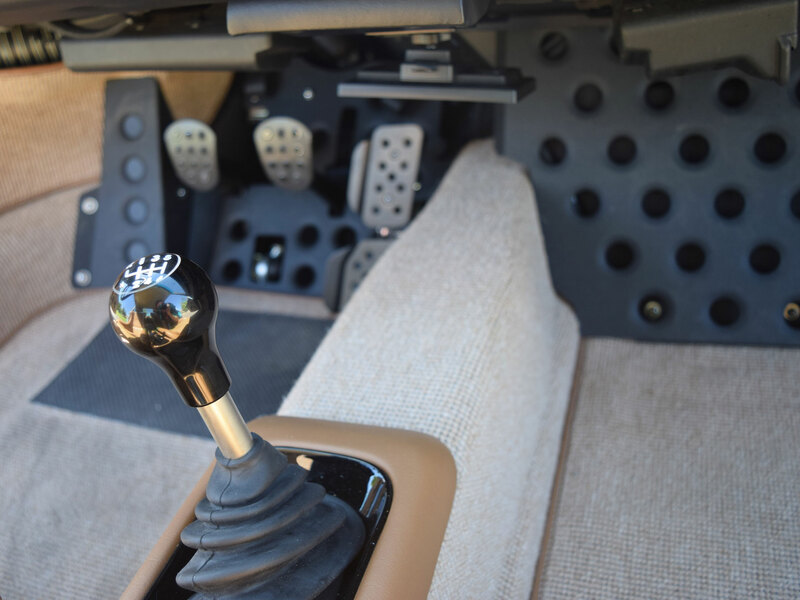 It’s not that the cars suffer from much in the way of the lift-throttle oversteer that air-cooled 911s are infamous for—Singer manages to tune most of that out, only leaving a taste of it because buyers still want some edge to their old-school Porsches. No, it’s the steering. The wheels feel almost welded to the road, which comes with pluses and minuses. In the plus column: You feel everything. Microscopic imperfections in the tarmac, subterranean streams flowing through the bedrock, footprints left by Shoshone trackers 250 years prior, whatever. Compared to modern, electrically assisted power steering, this 911 feels like growing a superhuman sense of touch. On the minus side: The road will fight you. That iron-clad connection means bumps can rip the road right out of the hands of an inattentive driver. This is not a car for driving with two fingers; this is a machine with a steering wheel you grip like a Colt 1911 you’re about to fire. Not that most people would be casually drive a handmade Porsche worth as much as a nice house. 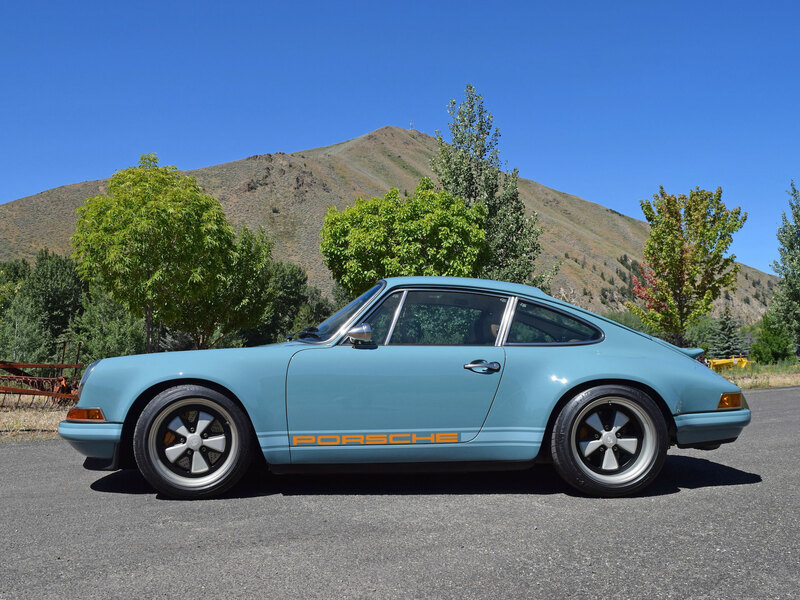 Singer is cagey about just how much these modified 911s cost, but the company’s reps suggest a highly-customized version like this one would land on the far side of a half-million dollars. But the body beneath that paint is where the real beauty lies. 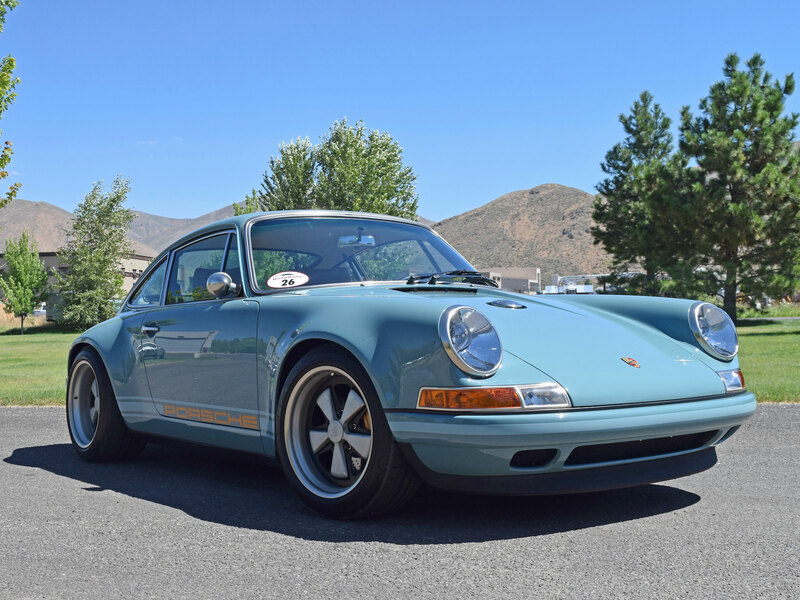 Once upon a time, the car was a Porsche 964, but Singer's custom carbon-fiber body panels transformed it into a car that can't be pinned down as any particular generation of 911. Still, it carries an exacting sense of…Porsche-ness. Inside, it looks like a 911 from 25 years ago; indeed, much of it is, with new Porsche-spec parts given a Singer touch or recreated out of high-end materials. But there are touches of luxury. The crosshatched leather upholstery is perfection. The air-conditioning blows on cue. There’s even a tablet that flips down from below the dash to sync your phone with, allowing you to play music, navigate, or make calls. I’m not sure why. If I owned a Porsche that Singer had worked its magic on, it would be the one place on Earth I’d never pick up the phone. Hell, after just an hour behind the wheel, I don’t think I could ever concentrate on anything but the car. Taking the reins of one of these Singer-modified Porsches is like applying a thick coat of nostalgia to the real world. It’s every bit as sweet as that first 911 you drove so long ago. The one that’ll be waiting for you in heaven with your childhood dog riding shotgun and an endless series of switchbacks ahead. It is happy memories made real, a halcyon day you can climb into on demand. The Singer-customized Porsche 911 is not the perfect car. Nothing could be, not for everyone. But for someone who loves the 911, remembers it fondly, and always had a special place in their heart for it…for that person, this car is perfection. It is rare that I say this, but when I do, I mean it: This reimagined Porsche lives up to the hype. And I want one very, very badly.